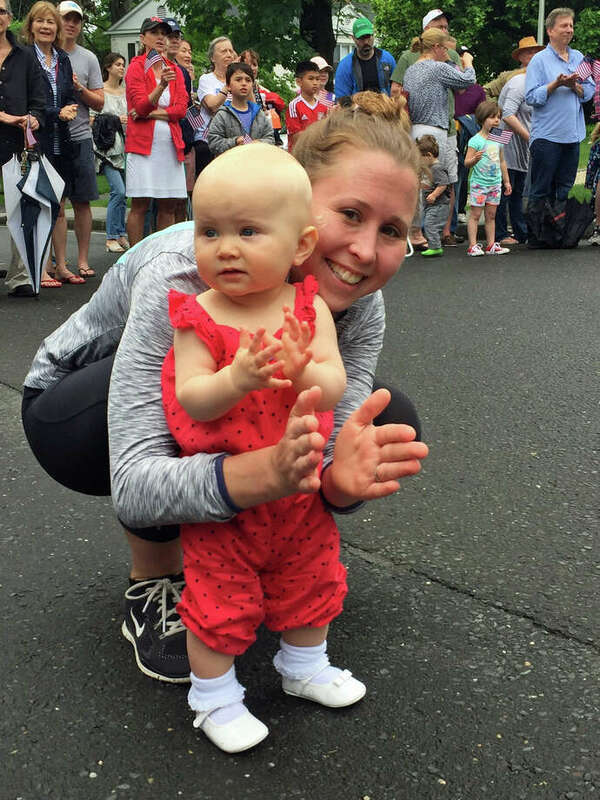 Laura Sterner and her 1-year-old daughter, Parker, enjoy Monday's Memorial Day parade in New Canaan. NEW CANAAN — Despite rain showers earlier in the day, hundreds of people waved their flags and clapped their hands Monday at the town’s annual Memorial Day parade. Veterans were well represented at the parade as were local youth sports teams, scouting groups, civic organizations and the town’s first responders. For Laura Sterner and her 1-year-old daughter, Parker, the short walk from their home on Heritage Hill Road was well worth it.